Ready to finally shed those pesky extra pounds? Ready to fit into those clothes again? Tired of the weight loss methods and fad diets and promises that don't deliver? Then listen in as expert fitness trainer David Carroll, founder of Customized Personal Training and The David Carroll Method gives you the skinny revealing the real-world tips and strategies you need to succeed in this hard-hitting exciting interview by David Portney. David Carroll is an established expert on safe, effective, permanent weight loss with almost 20 years of hands-on, get-the-pounds-off experience. Imagine your new shape and how envious people will be, and how confident you'll feel not to mention how much more energy and vitality you'll have! * How to shed those pounds without starving. * The ugly truth about fad diets. * How fire up your metabolism and melt the pounds away. * A safe, sane & sensible approach to fitness and weight loss. * How to set your goals so you stick to them. * Myths and truths about losing unwanted hip and belly fat. * How to end the food cravings that destroy your results. * The role your genes play in losing weight. * How to stop the yo-yo effect and really keep those pounds off. Getting fit is doable whether you're 19 or 93. Now is the time to conquer those excuses, get yourself motivated, and blast through barriers to successful weight loss. It's time to get fit and feel healthy and vibrant again. All the basics and bases are covered here--you'll get safe, practical and proven advice to get that fat off and keep it off once and for all. Get a fresh start toward the body of your dreams right now--don't delay another day! 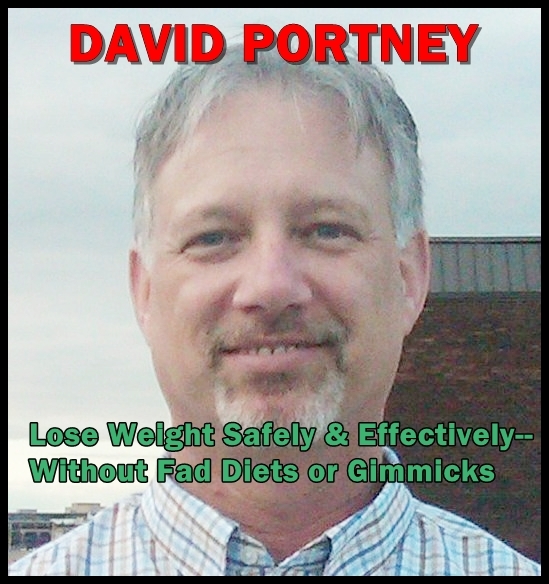 David R. Portney is leading authority in the field of human awareness, change, and potential. David has conducted trainings and workshops for numerous companies such as Kenwood USA, Herbalife, Meadow Gold Dairy, and Wella-Sebastian. David regularly conducts workshops and classes for the Los Angeles Times and the Learning Annex of Los Angeles.